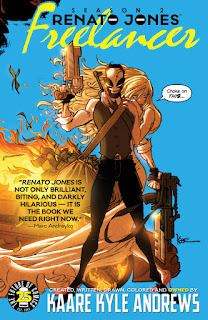 Mysterious vigilante Renato Jones showed the One% that for all their money, for all their power, they are not untouchable. But now they're pushing back, and resulting class warfare may be more than even Renato can handle. When full-time villains control the whole word the only hero who can take on the job is self-employed… a Freelancer. KAARE KYLE ANDREWS proudly presents Season Two of the most dangerous comic on the planet! What started out as a satire of the current political climate in the US quickly grew into a scathing commentary about where we are probably going as a country. 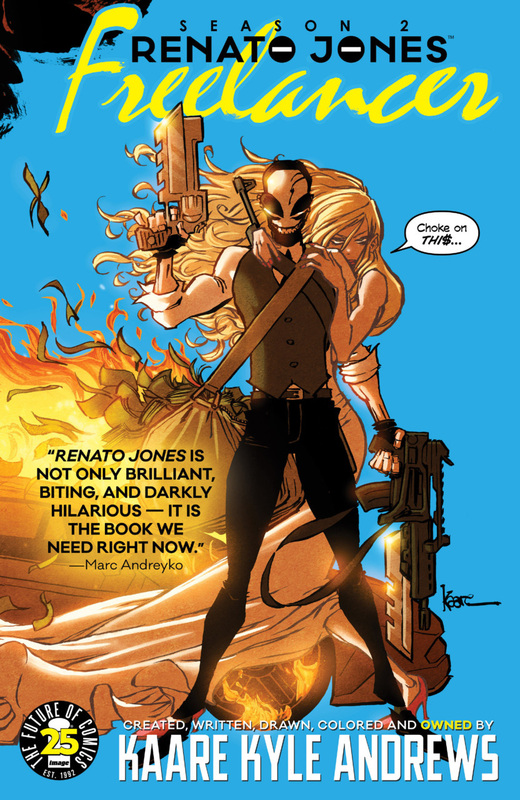 Renato Jones is Andrews way of dealing with the mess that our country has become over the last couple years, and it is brilliant, hyper violent, and continues to be one of my favorite books Image is releasing right now.